Mimi Bondi published in heART Journal Magazine + let's celebrate! I am so excited to be published in heART Journal Magazine! What more could an artist ask for?! This deserves a giveaway or two to celebrate, don’t you think? In my article of this March 2017 issue, I share a full length video tutorial of how I created the mixed media painting on the cover from an art journal page (with a supplies list of course, all of which you can find in my Mixed Media Store). 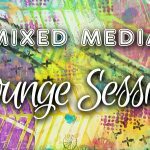 I also talk about various subject in my interview with editor Carla Devine! 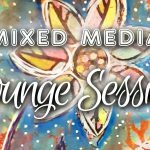 To celebrate this awesome article and our love for mixed media, I have 2 giveaways for you, generously donated by heART Journal Magazine!! Giveaway 1: get the March 2017 issue for free! This giveaway lets you download the heART Journal Magazine March 2017 issue for FREE!! YEP! You’ll get to read all my crazy thoughts and will get the video tutorial for free in it, with loads tutorials and inspiration from awesome mixed media artists. And this gives you an awesome chance to see what the magazine is about! Simply go here, add the issue to your cart and use coupon code he333aRT (case sensitive) at checkout – SIMPLE! Giveaway 2: get a yearly subscription for free! How awesome would it be to get a yearly dose of inspiration, tutorials and tips from mixed media artists from around the world?! Extremely awesome I say! 1. Leave a comment at the bottom of this page telling me what you’d really like to learn in mixed media or what you struggle with. Make it specific like ‘learn how to draw eyes’ or ‘I am confused with how to use gel medium’ – Vague comments like ‘I’d like to learn new techniques’ will not count! 2. 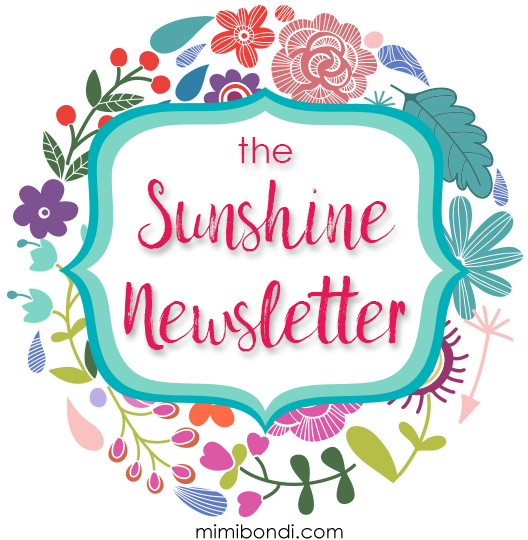 AND make sure you are subscribed to my Sunshine Newsletter as this is where I’ll announce the winner. If you haven’t already here, you can subscribe here or fill in the box below. 3. Enter the giveaway by 21st March 2017 – a winner will be randomly chosen and announced in my newsletter on 22nd March 2017. Ooh yes…I would love to win a subscription. I would like to learn how to draw trees that don’t look as though a two year old has drawn them. I love the strength and longevity of trees and find them very symbolic. I know you can get stamps but I want my journal to reflect my own work. And it wouldn’t be a bad thing to love my own work too…instead of forever finding fault! I would love nothing more than to win a subscription the heART journaling magazine. I try to take as many classes as I can afford. My secret dream is to one day sell some of art. I think it would be, and is for me, to learn about others artist’s creative process and how they go about creating a piece. And, you, Mimi, are so inspiring to me because I have always been such a perfectionist, so I love the way you relax me when you teach and your sweet, easy-going persona. I’m still trying to find my own style or whatever you want to call it, and I can do that by reading about other artists ad practice, practice,practice!! What a lovely prize for someone. I get confused with mixed media as a newbie to this style of painting. Is it a free for all, using anything that takes your fancy or are there specific steps and rules that we should consider? Ooohhhh ,Wow Congratulations on being published ,and a BEAUtiful cover your art makes. Im being greedy I have 2 techniques Im struggling with -using the brayer to create textured/layered backgrounds.And using gel medium through a stencil as a resist to paint/inks that follow.Im using matt gel and wondering if thats the problem and should be using gloss. I would love a subscription to heART. I’m all about digital subscriptions. As for what I’d like to learn, I would like to know the best medium to use when my work is complete – Mod Podge, gesso, acrylic medium. Also, I would love to learn how to draw simple and symmetrical faces. I would love to see some mixed media techniques for butterflies and birds. I struggle with the eyes and beaks on birds as well as patterns on butterflies that don’t look like a huge mess. I would love some layering techniques that help them come alive on the page. 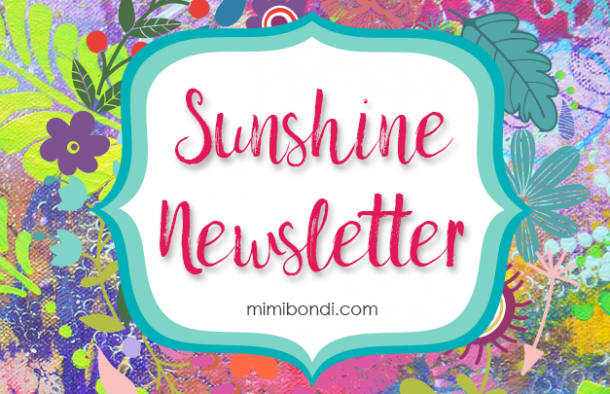 Thanks Mimi I love every newsletter and watching you create a new spread. I’d love to learn more about storage solutions for traveling with all of the supplies. I’m just beginning and it seems that is my biggest problem. Sprays, paints, gels, tools, pens, brushes, need for water, paper towels, wipes…everything is a different size and shape and hard to take to a group function. What do you use and what do others use? I would love to win! I bought 2 copies of Mimi’s latest books thanks to Mimi’s genius because I didn’t have the heart to tear up or cover Mimi’s brilliant work! I would love to receive more mixed media advice and Mimi’s brilliant artwork. I think Mimi is my favourite YouTube instructor because she makes it fun and “do-able!” I would like to learn how to use pan Pastels and seal them so they don’t wear off. Whatever the outcome, I will continue to enjoy Mimi’s work and her genuine smile and laughter! Thank you Mimi! I would love to win this! I would really like to learn how to layer colors and images without ending up with a muddy mess! Congrats, Mimi. I love that magazine and look forward to seeing your piece. You go girl. Hi again, Mimi. I forgot to say that I would love to learn how to do faces, especially eyes and lips. They are the hardest for me to get right. Hi Mimi, congratulations on having your painting on the front cover of heART, how exciting for you, it is a beautiful page! I am a newbie to mixed media and art journaling and loving it but…..I do struggle with keeping my backgrounds ‘light’ with a translucent look. I think it should be easy to correct by using less paint and limiting the number of colours to two or three but I am yet to be entirely happy! So much fun though!! What a thoughtful and generous giveaway ! I would love to be able to be more intuitive and relaxed when doing mixed media. I think not being afraid of the outcome or unsure of how to best use materials would be helpful. I would so love to win I live in Canada I love to see the great tropical colours you use it warms me up. Thank you for this chance Mimi and Congrats on the cover. 🙂 I would love to learn more about Colour Combinations, what colours work together and which ones don’t. Love this giveaway. Thanks so much. I would like to learn how to create those lovely, complex layered backgrounds that end up looking so different than they started. This is way too cool, Mimi! Congratulations on your fab opportunity!!! Congrats Mimi! I would love to improve my faces in my work. I don’t think I’m bad at it, but we can all get better! I would love to learn how to paint more folk artsy – — I LOVE the scrubbed/rubbed/distressed look. This style is imperfectly perfect to me. I would love to win the years subscription as I need all the inspiration I can get, I need to learn to be freer with doodling and outlining my work because at present my work looks very stilted and my pens don’t work on the texture on my pages, congrats Mimi on your work and obtaining the cover art work. WOW! That is amazing. I’m interested in some tips about design. I know that a lot of the time we place things just randomly or without that much thought. That’s totally fine with me because I like going with the flow and not overthinking it, however, I also believe that there are some golden rules to the design to keep in mind. I would love to learn more about that. Thanks Mimi, I’m always looking forward to your videos. Congrats to you……….very well deserved I must say and to make the cover! Looks FANTASTIC! I am new to this mixed media/art journaling thing and I would like to learn about the differences in the various mediums and paints….heavy vs regular etc AND how to use gelatos, pan pastels etc. I want to learn soooooooooooo many things! LOL It would be fantastic to win a subscription because my limited Social Security budget doesn’t leave much room for these “extras” that I would love to get. Thank you for the opportunity and keep up the good work……… I already subscribe to your creative sunshine and I love it! I would love to win a years subscription, so that it will help me learn more about colour. I have just re-ignited my childhood passion for art. I was born with the gift to draw. Thirty years later, I am now trying to get the courage to play with colourful acrylic paint. I struggle to mix colours that make mud! I would love to learn what colours work with each other. Time to add some colour to my life! Mimi congratulations what super for you!! I want to learn more about texture paste. Hi mimi,I sometimes find it difficult blending all my colours without it looking messy! You seem to make it look so seemless! What a honer to be published. Your work is amazing and the way you break it done for others to create is super. Your honesty comes through during your videos. Thanks for a chance to continue my art experience. Thanks again for your carefree art style. heART Magazine is on my “wish list”! I have been working in 9X12 journals for years and have used the same size canvases. I would like to learn to work “Big”! Oh yes anything that I can get my hands on that YOU create, instruct, and just talk about is way interesting to me!! Mimi you have put the creative back into me in a way I thought was lost!! Thank you!!! My biggest struggle is knowing when to stop!!! Thank you Mimi! I would love to win a free year of the magazine. I am interested in learning more about composition and design. I’m a fly by the seat of my pants kind of gal and that makes me happy. But, I stall a bit when it comes time to move forward after making a great background. I’m pretty good at making lots and lots of beautiful background papers, but have trouble deciding how to make them into actual journal pages, and knowing when “done” is really “done”. I want to learn how to use faces in abstract acrylic art. Faces that are not creepy but more positive. Congrats on the cover – love your work! I would love to receive a year’s free subscription to this magazine. I am new to art journaling and using acrylic paint so some help with colour mixing and colour schemes would be really helpful. Thanks for your wonderful tutorials Mimi, I love them. Congratulations and best wishes from me on the Central Coast of Sydney. I am also a newbie and a late starter(senior type) to art journaling and have just been reading through all of the comments and seem to have just the opposite problem to some…although I have lots of materials, paints, stencils, crayons, everything, I just can’t seem to get started, where does everyone get their ideas. I just feel completely overwhelmed. Any advice would be great. Hello fellow Central Coast resident!! 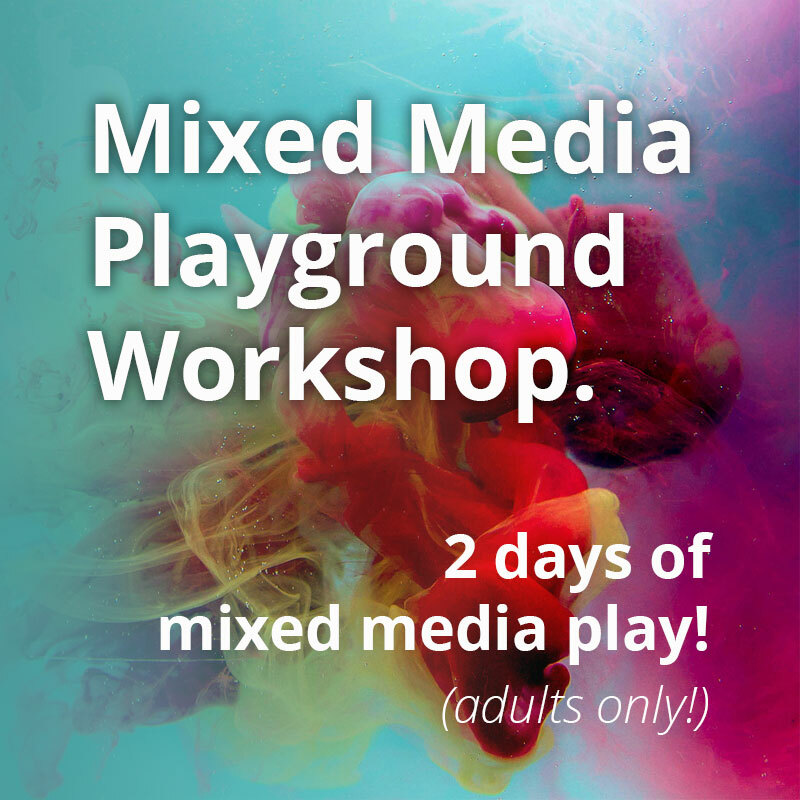 I run mixed media workshops for beginners so if you are interested, please come over to my studio in Berkeley Vale and I will get you started ? I would like more info on what paints & inks can be used with stencils, also the different tools for applying it! Thanks? Congrats dear Mimi, it’s well deserved to get published in a art Magazine! You are a great artist and a great teacher. I would love to learn how to Draw “scribly” faces and especially the mouth / lips. They always end up looking very strange and crooked. Thank you for this opportunity to win! I wish you a nice and creative day! Congratulations for the publication, Mimi!! 1. sometimes I get stuck on what to do next, for example- I made background, then I had some modeling paste through the stencil and what next… I’d love to have some simple algorithms to work with when I get stuck. 2. I fell in love with face painting, so abstract faces would be something nice to learn. Wish that i can fly to Sydney and visit you or attend your class personally…. Thanks for continuing to inspire us.. I stumbled across one of your videos on youtube today and have become completely enamored with trying mixed media art. I have never been able to draw anything besides stick figures a five year old could draw and so I’ve felt that I could never be an artist. What I’m interested in learning is what products and mediums you use to create these masterpieces and how they work together. I’ve learned a bit just from watching several of your videos but I have far to go in learning how to use the products for different effects. I love your encouragement about relaxing and enjoying the process. I can’t wait to start! I really want to be able to add in this NGOs that make my work very uniquely mine: faces, silhouettes, hand lettering. And really finding my own style! Congratulations on your article. I have not heard of this magazine and am looking forward to reading the free issue. I have already learned so much watching your youtube channel and your book No Shenanigans. I guess what I would like to learn is drawing, not really life like but whimsical. I also struggle with using a small paint brush to outline and make swirls. You make it so effortless looking. Hi Mimi, I like the way you inspire your students. I am e teacher too and I am glad to learn new techniks and various materials to use in my own classes and help young children to express thimself on the paper. Thank you for your colorfull work and inspiration. Hi Mimi, I have both your books and find them inspiring and colourful inspiration. I would love to learn more about using colours together without making “mud”… and then best colours for mood reflections. Mostly though, I would love to win your inspirational prize, it would keep me going all year. Lovely work, Thank you! Congratulations on being in the magazine and on the cover too! I have learned so much from your No Shenanigans book and the tutorials on your blog, especially how to silence my inner critic and just have fun. (I’ve come a long way, thanks to your encouragement). Thank you for all the time and effort it takes to make the videos…so inspiring. I’d like to learn more about mediums and pens. It seems like whenever I use white or black pens that are supposedly waterproof, they smear when I put anything over them like a sealer/varnish. Thanks! I would be sooo happy to win a subscription! Due to my health, i can’t create as much as i would like too! But when i do, it provides me with an escape from the pain. Your work is very appreciated. In the future, it would be nice to learn more. Congratulations on making the top cover. It must feel good to have appreciation of your hard work. I love your first book. Wishing on a free subscription. Thank you. I never know when I’m “done”. When I watch your work, I’m always surprised when you add more!